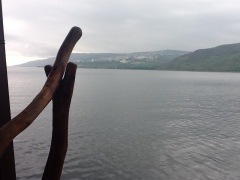 Although there is no record in the Gospels of Jesus visiting Tiberias, we know that He must have passed through it due to it’s proximity to Capernaum and the fact that it is the oldest continually inhabited city in the Galilee area, being in existence since the time Herod Antipas built it about 2000 years ago. 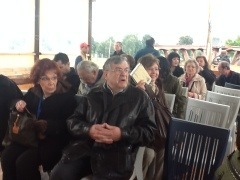 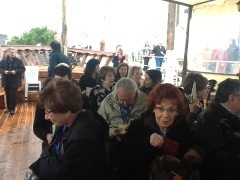 Our first day began with a light breakfast and bus ride to the Sea of Galilee. 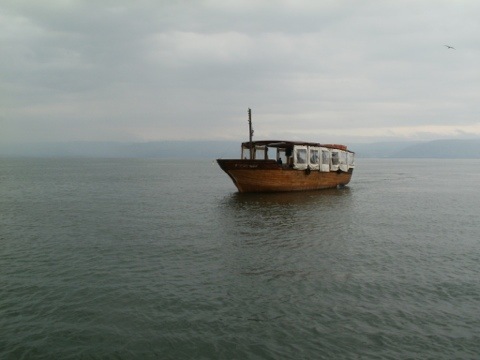 The pictures here are of the replica wooden “Jesus boat” on which we crossed the water just as Jesus and his disciples did 2000 years ago. 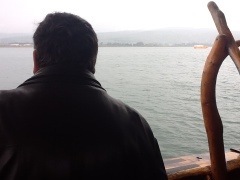 Our faithful tour leader, Mr. Nick Vlahos looks across the sea at another boat passing nearby. 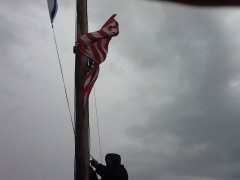 The crew of the boat was well prepared with the raising of the American flag and our national anthem, as well as some recordings of Greek folk music to raise our national pride.